Parr’s Furniture is Atlanta’s source for affordable, high-quality furniture. Furniture can make or break the look of your home. And whether you’re buying indoor or outdoor furniture for your home, you want to make sure that you’re buying high-quality, stylish furniture. But luckily, when you work with Parr’s Furniture, you can get the beautiful, high-quality furniture you want without having to break the bank. We have two different locations, and whether you shop at our Alpharetta or Lawrenceville store, with us, you’ll find the best indoor and outdoor furniture for less! Experience – At Parr’s Furniture, we are proud to say that we have been providing discounted indoor and outdoor furniture in the Atlanta area since 1984. With over 30 years of experience on our side, we have what it takes to meet all of your furniture needs. 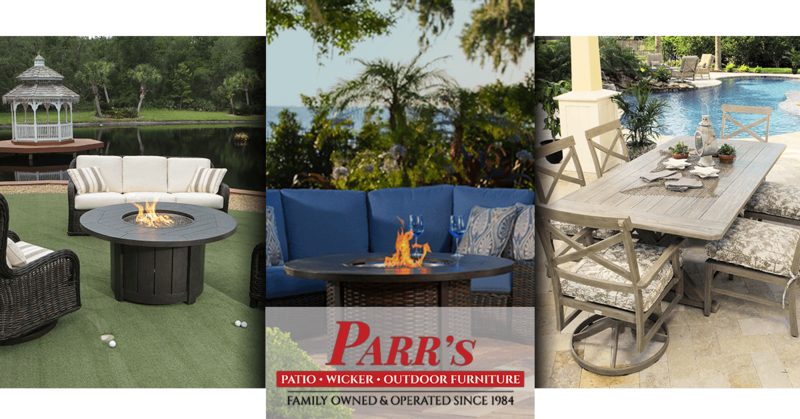 Selection – When you shop with many furniture stores, you only have a few options to choose from, but when you shop with Parr’s, you’ll enjoy a wide variety of wicker, aluminum, wrought iron and wood furniture. No matter what kind of furniture you purchase with us, you can rest assured that you’re buying a high-quality product that will last for years to come. Brands – We are dedicated to providing you with the best furniture for the best prices, and that’s why we offer the best brands! When you shop Parr’s, you can choose from Braxton Culler, South Sea Rattan, Seawinds Trading, Woodard, Winston, Windham Casting, Telescope, Ebel and many more of the industry’s top name brands. Family Owned and Operated – Unlike many furniture stores in the Atlanta area, we are family owned and operated. We aren’t some cold, corporate furniture store; we are owned and run by a family that cares about meeting your furniture needs while saving you money. Conveniently Located – Parr’s has two convenient locations in the Atlanta area: one in Lawrenceville and one in Alpharetta. These locations have low overhead, which allows us to offer low prices each and every day. Affordability – At Parr’s Furniture, we don’t believe that you should have to break the bank to enhance your home or outdoor space with high-quality furniture. That’s why we’ve made it a point to keep our prices affordable. Expertise – In addition to offering a wide variety of affordable, indoor and outdoor furniture, we also have a degreed Interior Designer on staff who can help you measure your home, pick out the perfect fabrics and create a detailed floor plan — all at a minimal charge. No other furniture store in the Atlanta area can match what Parr’s Furniture has to offer. Check out our site today to learn more, and stop by our Alpharetta or Lawrenceville location today to start shopping!